The multi-layer material ensures that nothing tears or drips out no matter what kind of waste it holds. The bin liner can be conveniently closed and carried with the practical drawstring. The material used for Swirl® Tear Resistant & Leakproof Drawstring bin liners consists of several thick layers to ensure high tear resistance. 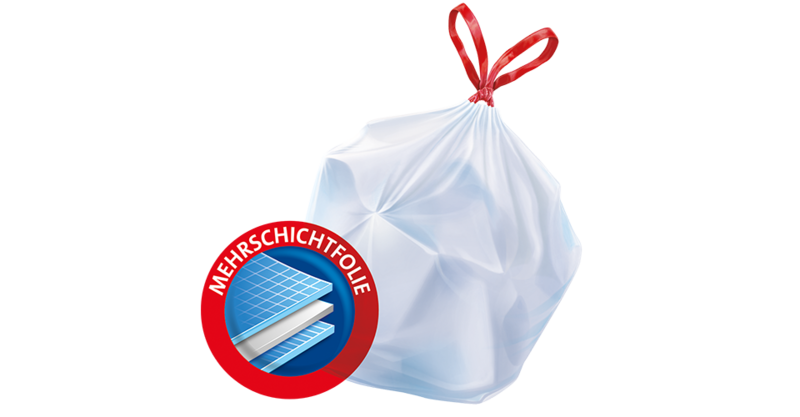 That is really strong: Swirl® Tear Resistant & Leakproof Drawstring bin liners are suitable for all kinds of household waste and they are also well prepared for big surprises. Thanks to the multi-layer material it can stand up to a great deal. From coarse to bulky, from wet to heavy. Simply pull the drawstring and everything is perfectly closed - ready for disposal. 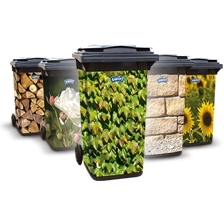 And with their various sizes, Swirl® Tear Resistant & Leakproof Drawstring bin liners cover all common bin sizes. It's nice to see how easy it is with Swirl®!